The post MariaDB in Google Summer of Code 2016 appeared first on MariaDB.org. 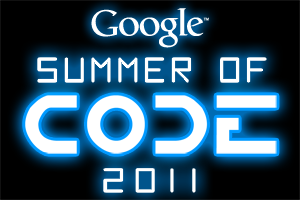 MariaDB is participating in the Google Summer of Code 2014. Students are encouraged to propose a project before the deadline (this Friday!). This is our second year participating, and as always we have an ideas page available. We also have a list of things we think are achievable in JIRA – check out our gsoc14 tag. MariaDB is very happy to be accepted as a project in the Google Summer of Code 2013. This will be our first year participating and we’re stoked that we’re one of the accepted organizations. We have an ideas list as always, and we’re expecting to get some great mentors & students to hack on some new code for the MariaDB project (which now comprises not just the server, but Galera Cluster as well as the connectors). Watch this space for more information, but if you’re interested in hacking on MySQL, MariaDB, Galera Cluster or some of the Percona toolkit, and it’s a summer’s worth of work, this should be a lot of fun! The last few weeks have been particularly quiet from me on the blogging front. Behind the scenes things have been quite the opposite so here is a summary of things past, present and future. If you have read my last 'Last Week in Drizzle' post you will know that Rackspace are no longer supporting Drizzle. They have done a fantastic job so far and have decided to pass the baton to other companies. As for the staff, they wished to redeploy us to other teams which is something I personally was not keen on. I would rather remain within the MySQL/Drizzle sphere which I would have no longer been able to do effectively inside Rackspace any more. If you have read my last ‘Last Week in Drizzle‘ post you will know that Rackspace are no longer supporting Drizzle. They have done a fantastic job so far and have decided to pass the baton to other companies. As for the staff, they wished to redeploy us to other teams which is something I personally was not keen on. I would rather remain within the MySQL/Drizzle sphere which I would have no longer been able to do effectively inside Rackspace any more. My last but not least GSoC idea. This is about actual tool that already exists but is currently a little bit broken and needs rewrite with a bigger picture in mind. Welcome to this week’s edition of “Last Week in Drizzle”. As an introduction this week I would like to quote John David Duncan’s recent Facebook post: “And what’s in the weather forecast for next week? Drizzle.”. Yes, our first GA release is due next week, does that mean the development pace has slowed? Heck no! Over 150,000 lines of bzr diff in the trunk since last week and quite a few branches still in the merge queue going through our extensive regression testing system. Welcome to this week's edition of "Last Week in Drizzle". As an introduction this week I would like to quote John David Duncan's recent Facebook post: "And what's in the weather forecast for next week? Drizzle.". Yes, our first GA release is due next week, does that mean the development pace has slowed? Heck no! Over 150,000 lines of bzr diff in the trunk since last week and quite a few branches still in the merge queue going through our extensive regression testing system.